CAMALIG CHURCH NOW ONE OF THE SIGNIFICANT STRUCTURES OF THE PHILIPINES. CAMALIG, ALBAY (June 24) – Formal declaration of Camalig Church (St. John the Baptist Church) as one of the Significant Structures of the Philippines under the category of Important Cultural Property is set today, June 24, 2017 during the feast day mass in honor of the town’s patron saint - St. John the Baptist. It may be recalled that it was declared by the National Museum of the Philippines as one of the Significant Structures of the Philippines under the category of Important Cultural Property in December 2016. Important Cultural Property is a recognition given to any cultural property (objects or structures) that bears strong cultural, artistic and historical significance to the country. St. John the Baptist Church is now declared as significant built heritage of the county. 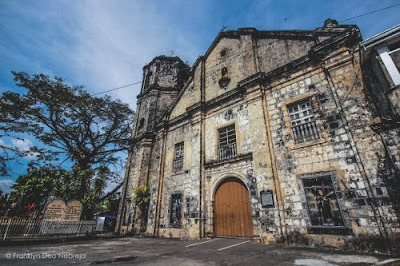 In an interview with DZGB News Jed Villanueva - Camalig tourism officer, said the church was the oldest structure in town and was built and managed by Franciscan missionaries for over 400 years, from 1579 to 1983, according to its marker.